Last month, we discussed how critical it is to maintain a healthy gut. Not only does it promote proper digestion, but it also boosts your metabolism, strengthens your immune system and influences your mood. So how can you fuel a healthful gut? Consuming a wholesome, fiber-rich diet and taking probiotic supplements can benefit you, but have you ever considered digestive enzymes? As the National Enzyme Company describes it, digestive enzymes are truly the real rock stars when it comes to digestive health. Digestive enzymes are the leaders in the digestive process – they have first dibs on the foods we consume. They break down the carbohydrates, proteins and fats we eat so that the body has easy access to the nutrient content. Essentially, without digestive enzymes, you'll have a harder time gaining the nutritional value from the wholesome, raw fruits and vegetables you're eating. You'll also have an increased chance of experiencing issues related to digestion, such as bloating, constipation, diarrhea, stomach cramping and more. The salivary glands produce amylase to begin digesting starch right in the mouth as you chew your food. Lingual lipase from the tongue is activated in the stomach for digesting fats. Pepsin is released in the stomach to begin digestion of proteins. 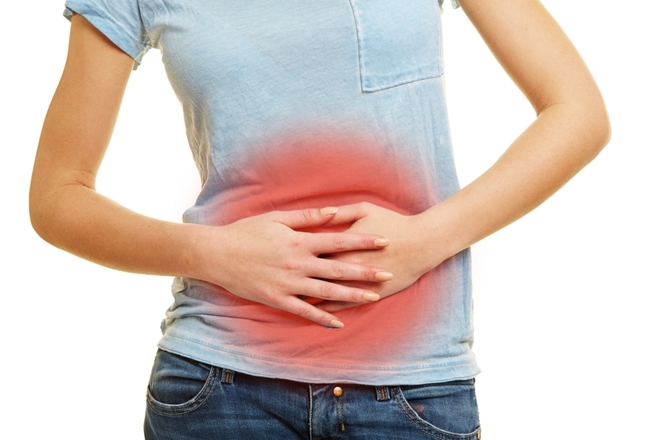 Food can be held in the upper portion of the stomach, the fundus, for an hour before mixing with stomach acid. This gives the salivary amylase time to work, as well as time for enzymes in the food to begin the digestion. All raw foods contain active enzymes, which may help predigest our food for us, thus conserving our own digestive enzymes. After the stomach's contents are liquefied, they are passed on to the small intestine. This is where digestive enzymes from the pancreas do the heavy lifting of breaking down the food into sugars, short peptides, fat globules, vitamins, minerals, and phytochemicals that our body can absorb. If we overtax our digestive enzyme capacity with overeating and consuming rich, animal-protein-heavy foods, as well as eating under stress and choosing very small amounts of raw food, we place a burden on our system that can lead to gastric upset, bloating, indigestion, flatulence, and further on chronic disease. Much of the body's energy that could be used to rebuild and repair the body is instead used on just making digestive enzymes to cope with the digestive strain. The consumption of raw plant foods is critical to allowing some rest for the digestive tract. Fresh vegetable juices are excellent for giving the digestive tract a break, as the body can get fed with only a minimal amount of digestive energy expended. 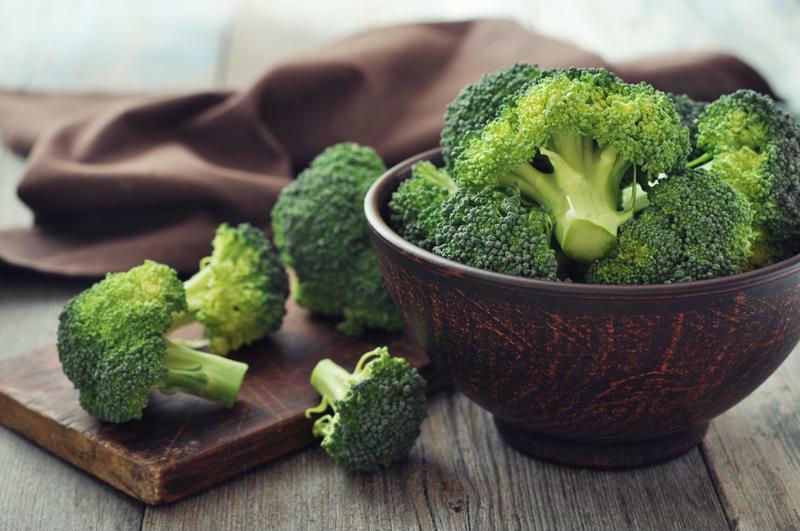 Broccoli is a beneficial source of digestive enzymes. According to the National Enzyme Company, the body's ability to produce digestive enzymes reduces with age, with some research suggesting people lose nearly half of their digestive activity. If your body doesn't produce enough digestive enzymes, regardless of the amount of raw, plant-based foods you're eating, it's critical you take a supplement to make up for it. Even with the healthiest diet, someone who has trouble breaking down foods won't absorb nutrients like they need to. That's why we recommend Hallelujah Diet Digestive Enzymes. Our formula contains live enzymes to maximize the absorption of nutrients, which ensures you'll reap all of the benefits from the enzymatically-rich fruits and vegetables you're consuming. This supplement improves poor digestion, promoting a healthy gut and reducing your chance of experiencing digestive-related issues. Remember, it's still important to consume a primarily-raw plant-based diet – this supplement isn't a replacement. We suggested taking Digestive Enzymes with raw and cooked plant-based foods. Wow..this was some great information! Especially about the aging and its impact on digestive enzymes. I take the HD digestive enzymes and I know now how important it is. Now I know what digest enzyme are and how they work. Great information. Many people may not realize that digestive enzymes can be vital not only for helping your body break foods down, but also for helping with the nutrients being absorbed and utilized more efficiently. Even those that follow a primarily raw, plant-based diet may need additional digestive enzymes. Digestive Enzymes are so important for our bodies. I have a 10 year old son that has digestive and gut issues that effect him on a day to day basis. It can be a real struggle at times he has stomach aches that can leave him doubled over and in tremendous pain. After many test and docotor visits we started the HD Digestive Enzymes he has been taking them for well over a month now. I can see a huge difference in his stomach aches they are not as severe as they were and hopefully as he keeps taking them the issues will go away all together. This is an informative article about the importance of digestive enzymes. I also use use Betaine HCL pepsin & Gentain root and probiotics. I believe good digestion is the key to good health. Hard sometimes to realize that as we age we all need a little help. We are so fortunate to have the Digestive Enzyme supplement to help us along. The Digestive Enzyme is one of my go to supplements to help keep my body in good working order. Thank you Hallelujah Diet.